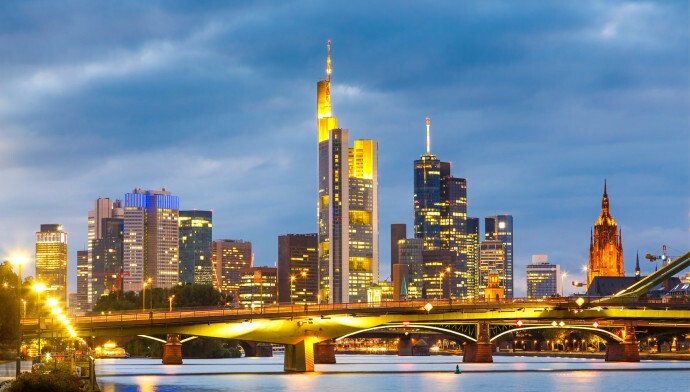 Frankfurt, the German city is popular for its glory, and guts. The city once burnt to ashes during the World War rose on its own caliber to achieve the status of financial hub of the country. It has many places of interest for tourists. Of late, the city has established a strong air network with the rest of the world. Many airlines operate service to the city. 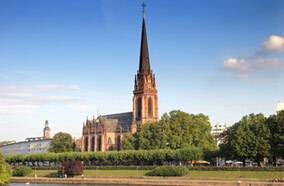 It now has become more convenient to find Cheap Airfares to Frankfurt. The city has a lot to offer to its travelers. Whether you are a child, an adult, or an elderly, irrespectively you are sure to have fun in the city. However, let us peep through the list of to-do-things in the city. 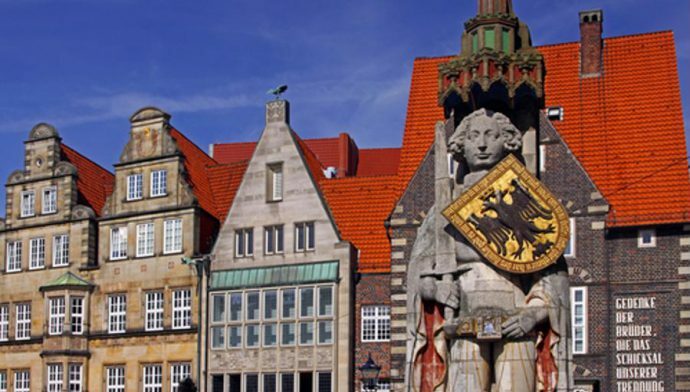 Beautiful monuments, parks, and tourist attractions adorn this beautiful German city. Some of the places of interest according to Frankfurt City Guide include Städel Gallery, Naturmuseum Senckenberg, the Goethe-Haus, The Altstadt, Eschenheimer Turm, and Frankfurt Botanical Gardens. Naturmuseum Senckenberg is the second largest museum in the city. It specializes in natural history and is a popular tourist spot for young and old alike. A visit to the museum is not only adventurous but knowledgeable as well. It boasts of an extensive collection of dinosaur fossils that are a high point for all the visitors. The city is thronged by visitors throughout the year. Leisure travelers however, choose to visit the city during summer between the months of July and August as the temperature around that time is pleasant and offers cordial ambience to explore the city at best. The city represents Germany at its best. It is an amalgamation of modernity and culture. Travelers visiting the city will be amazed at its beauty and richness. It reminds of the struggles that it once faced and the fact that it overpowered all with resistance. 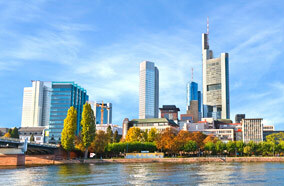 Frankfurt is a cosmopolitan city that caters to the appetite of global visitors. Places that serve multi cuisine dishes include Ban Thai (Thai), Bombay Palace (Indian), Lieb and Steele (German), Vapiano (Italian), Vai Vai (Italian), Gingko (International foods), Eberts Suppenstube (German), Fujiwara (Japanese) and El Pacifico (Mexican). Travelers can visit one of these eating joints for hearty and delicious meals. Bombay Palace is a famous restaurant offering a delectable variety to the guests. Lamb Korma, a dish of lamb prepared in mogul style with grounded cashew nuts, and Palak Kofta, spinach stuffed with potatoes and cheese cooked with ginger, tomatoes and curry sauce delve into the flavorful Indian kitchen. Airlines that operate flights to the city include Lufthansa, KLM, Delta Air Lines, Air France, US Airways, and United Airlines. 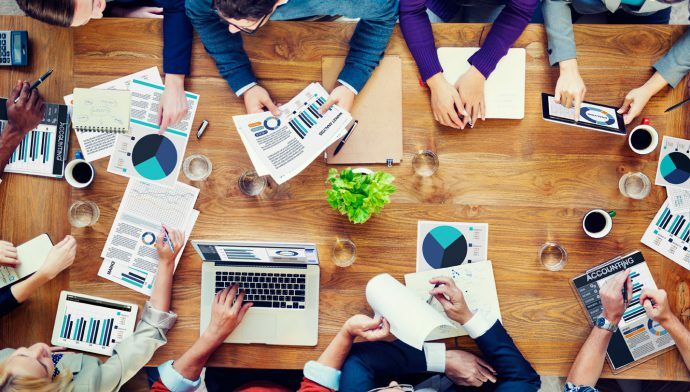 Icelandair, LOT Polish Airlines, British Airways, Delta Air Lines, KLM, and TAP Portugal are a few carriers that offer business class flights to the city from New York. Aeroflot, Lufthansa, Air Canada, Brussels Airlines, and Swiss are other airlines, which connect the city with the rest of the world. 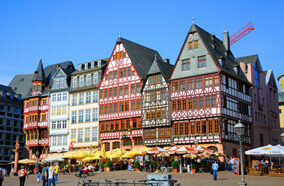 The city is plush and elegant but it is not difficult to find cheap hotels in Frankfurt. These affordable modes of accommodation are available at Moselstrasse, Baseler Strasse, Oskar von Millerstrasse, and Bessie - Coleman Strasse. Booking a hotel at discounted rates is a great idea to save money. It is truly worthwhile to spend every penny on exploring, shopping, eating, and savoring the city.